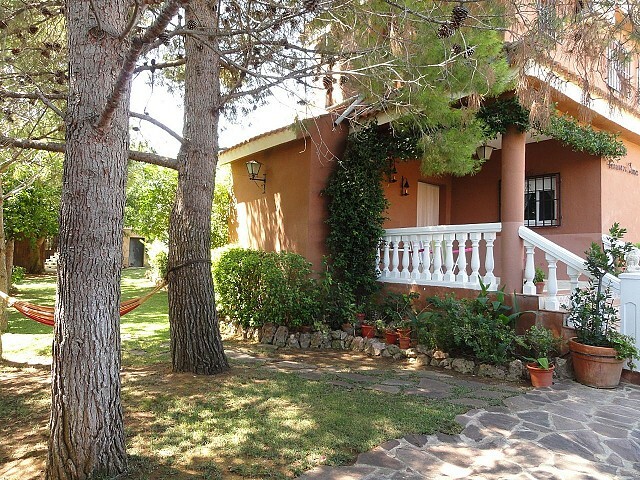 Villa on 2 floors, of 160sqm, on fully fenced plot of 2.500sqm, situated at 5km from the village, tranquil and neighbours all year. Downstairs is a large covered terrace with direct access to the summer kitchen, direct access to living dining room with chimney with kitchen, hall to 3 bedrooms and bathroom with shower. 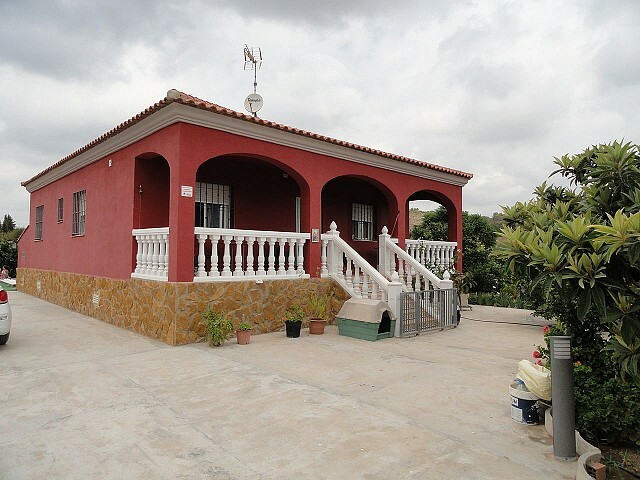 1st floor has 4 bedrooms, bathroom with walk-in shower and access to sun terrace. Outside is the tiled pool 10×5 with saline filter system, garage, nice gardens, well kept, and side plot for parking. Mains water and electricity are connected.